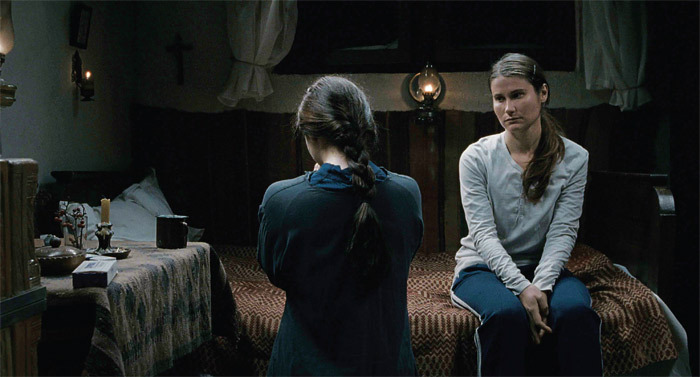 Cristian Mungiu, Beyond the Hills, 2012, 35 mm, color, sound, 150 minutes. Voichita (Cosmina Stratan) and Alina (Cristina Flutur). BEYOND THE HILLS, Cristian Mungiu’s new film, is in some ways the quintessential expression of the Romanian New Wave that broke at the 2005 Cannes Film Festival with the international premiere of Cristi Puiu’s Death of Mr. Lazarescu and reached its high-water mark two years later with Mungiu’s Palm d’Or–winning 4 Months, 3 Weeks and 2 Days.